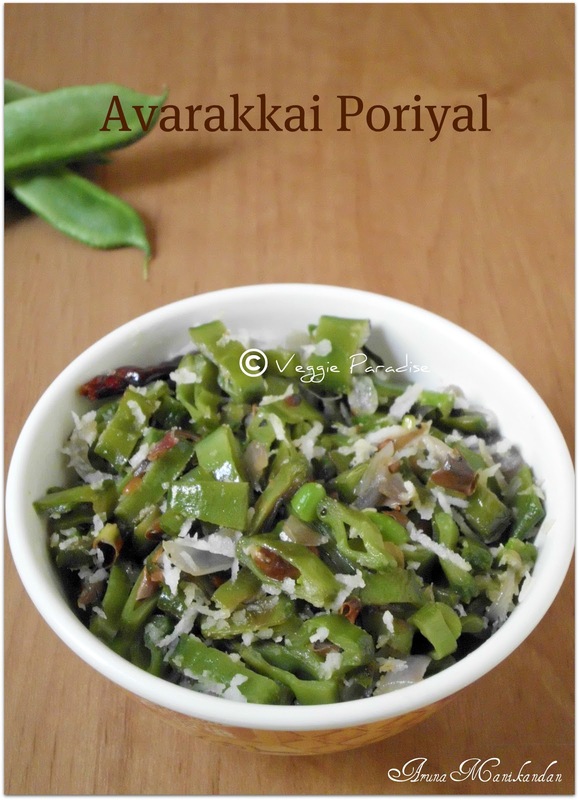 This is a delicious and healthy poriyal that goes well with rice. Wash the beans . Trim both the ends and finely chop them. Heat oil in a pan. Add the mustard seeds, when they stop spluttering add the urad dhal, curry leaves and red chilly(split and add them). Saute them for a min. Now add the chopped beans and fry them gently for a couple of mins. Add half cup of water and salt. Cover and allow it to cook in a low flame. Allow the beans to cook well till it turns soft and water gets evaporated completely. Before switching off the flame, add the grated coconut and mix gently. My fav!!! looks so delicious..
nice clicks and looks delicious. Poriyal looks yum and inviting ! My fav Poriyal... Love to have this with Dhal and rice... Delicious and haelthy one!!! One of the favourite sabji in my family. 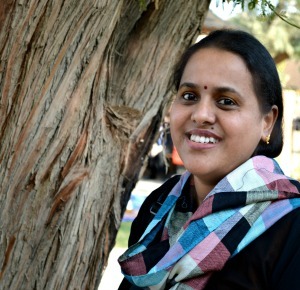 I make it as a side dish with Sambar and rice. Yours looks absolutely fantastic. 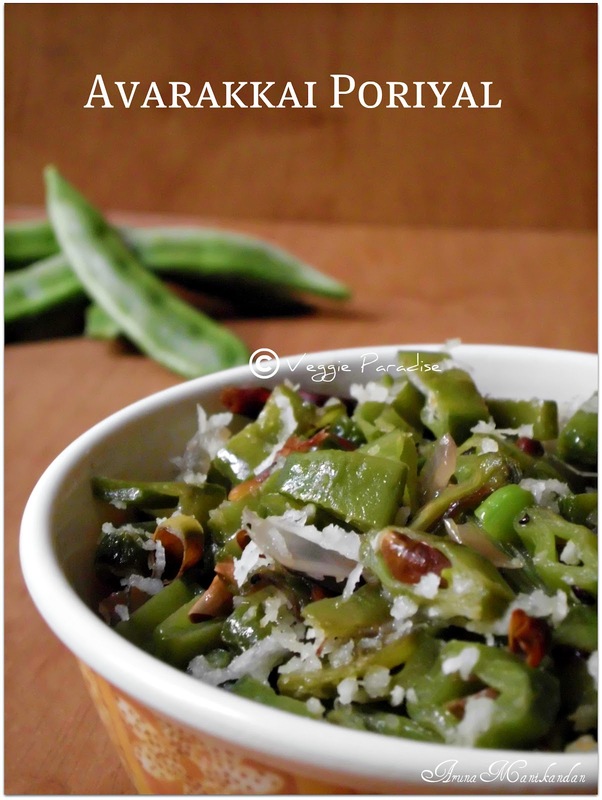 I love avarekaalu...but never tried the avarekai..... I have to... Your prep looks good & asks me to give it a try.... Thanks!!!! 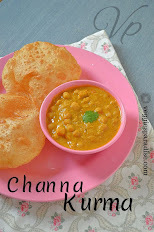 I make in a different way.urs looking simple & nice..
Nice..been long since I had some avarakkai..
an award is waiting for u in my blog,,plz accept it..
Looks delicious. You have a pretty site.